With more than 30 years of experience serving highway, utility, and federal recreation markets, Carsonite has developed distinctive products and applications geared to each market. Our composite utility markers and posts offer the maximum in durability and flexibility to address vehicle impacts and a variety of soil conditions. Carsonite posts are engineered to enhance visibility, simplify installation, withstand the elements and increase safety. Our markers and delineators are the industry standard. Many of the marking products in wide use today are based on Carsonite patents. Our trademarked profiles remain the standard by which all other markers are measured, and Carsonite’s easily identifiable products are manufactured and assembled in the United States. Carsonite is committed to excellence. Our name appears on all of our products, and we are dedicated to customer service. Our sales representatives and a vast distribution network stand ready to serve you with quality products and timely delivery. 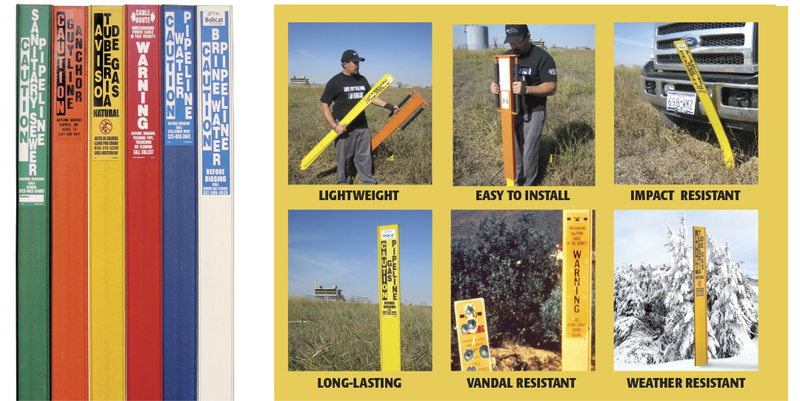 Our Composite utility markers are flexible, strong, and vandal resistant.